Comment: The condenser is tilted, excessive uneven settlement can cause fractures in refrigerant line fittings and loss of refrigerant. Recommend review by a qualified HVAC professional for corrections as necessary. Comment: My husband and I are in the market for a new HVAC system (heat pump and furnace) for our small single family home. Our heat pump is non-operational and our furnace is old and not energy-efficient. 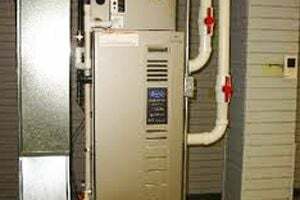 Comment: My husband and I are in the market for a new HVAC system (heat pump and furnace) for our small single family home. Our heat pump is non-operational and our furnace is very old and not energy-efficient. Gaithersburg Heating & Furnace Contractors are rated 4.68 out of 5 based on 4,795 reviews of 53 pros. Not Looking for Heating & Furnace Systems Contractors in Gaithersburg, MD?